Keep it simple! State your deal in big, bold, black and white and save money with economical printing while you make money with additional traffic to your store or business. 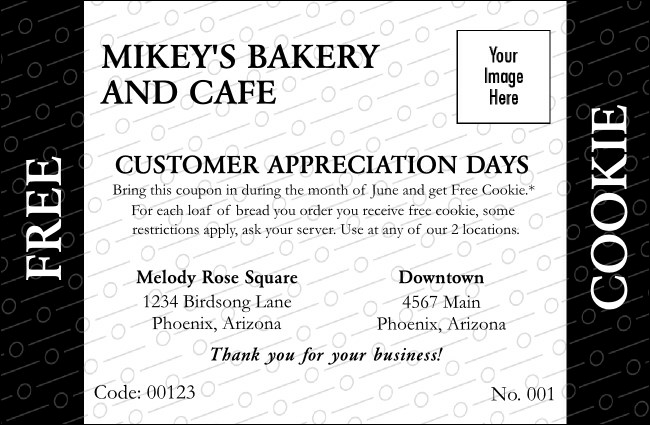 All Purpose Black and White Coupon lets you add your custom logo to a simple coupon template. TicketPrinting.com gives you the clear edge with black and white printing.